Giovanni Giò Ponti, an Italian architect, industrial designer, furniture designer, artist, and publisher, was born on November 18, 1891 in Milan, Italy. Ponti’s education before entering architecture school got interrupted by World War I and he offered military services as a captain from 1916 to 1918. Later in 1921 he got his bachelor’s degree of architecture from the Milan Polytechnic. After graduating instead of practicing architecture he became artistic director at a ceramics manufacturing company named Richard-Ginori in 1923 and kept serving as an industrial designer at the actory until 1938. He set a new trend in the field of industrial design by decorating simple ceramic forms with elegant neo-classical motifs and due to his efforts and great contributions the company made remarkable progress from 1923 to 1930. As Ponti stated in his own words, “Industry is the style of the 20th century, its mode of creation”. While working at Richard-Ginori, Ponti also founded the magazine Domus in 1928. It was architecture and design related magazine which focused mainly on interior design and proved to be the most influential magazine of Europe. Ponti remained associated with thie magazine as its editor until 1946. After resigning at Domus magazine, Ponti started off another magazine Stile and remained associated with it until 1947. In 1948 he returned to Domus and kept working as an editor there until his death. The Bijenkorf shopping Centre (1967) inEindhoven, Neth. Ponti did not only have passion for architecture and industrial design but he also quite actively practiced other arts including painting, graphic design, design for motion pictures, the theatre, costume designing, opera scenery and interior design. 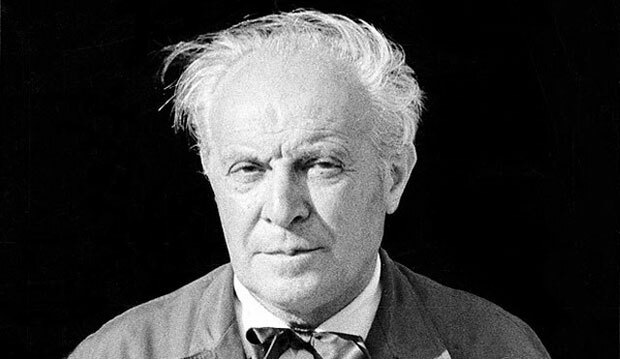 Giò Ponti died on September 16, 1979 at the age of 87 in Mila, Italy.